Socialite Huddah Monroe is one of the endowed socialites in the country thanks to her good looks and appetizing figure. Not only that the boss chic is currently enjoying life with a big spoon as she cruises around with top range cars and leads a very lavish lifestyle courtesy of her ‘sponsor’. 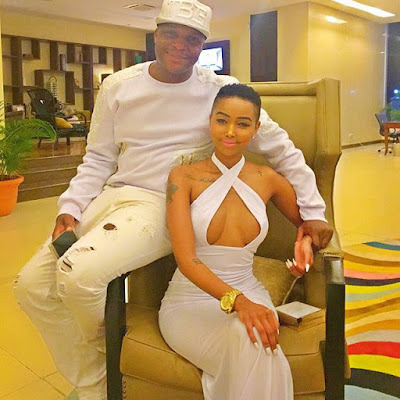 Comedian Jalango is had an opportunity to pose for a photo with the petite socialite and has left many talking. For your information not many can get close to huddah if you don’t qualify to be a potential ‘sponsor’. UP YOUR GAME.